Every Bathroom needs a good radiator so you fell warm and cozy. 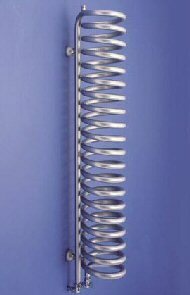 We have our own Newport radiators range - these products have been sourced because of their quality and value for money - and we also supply Bisque Radiators. 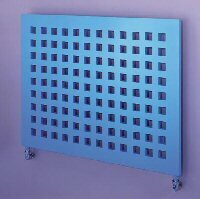 Bisque was the first UK company to elevate the domestic radiator to a design feature and talking point. For more than twenty-five years they have been at the forefront of the radiator revolution and remain the country’s leading supplier of designer radiators. These and many more radiators and bathroom accessories are available from Newport Bathroom Centre so please telephone us on 01633 262629 for our latest brochures, prices and offers. You can keep your towels dry and heated even in summer when the central heating is switched off. Available in many sizes. (shown left). Power plant is a stunning, 2 metre high horticultural sculpture designed to provide additional heat for the home.
. 1size (electric only) . base: stainless steel / colours . plant: aluminium finish / colours . output: 1800 watts . height: 1850mm / 73 ins . diameter: 400mm / 16 ins . includes an integral thermostat (shown right). 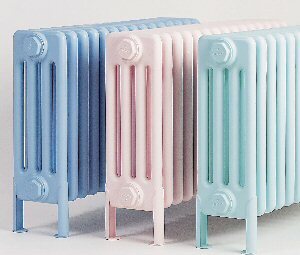 Bisque radiators are regularly featured in design magazines around the world and have been displayed in the Design Museum and the Philadelphia Museum of Modern Art. The company continues to grow from strength to strength and now export globally. Always popular in traditional interiors, the classic feels equally at home in contempory settings. Aluminium and anthracite models look particulary striking in hi-tech surroundings. Timeless and versatile, this radiator is a sleek update of an old school favourite.